Do you enjoy the process of quilting more, or the results of what you've made? Here are some things I enjoy about each! Results: That feeling of accomplishment when something is done. The pride in gifting it to someone. The joy of using something I’ve made with my own hands. I love tucking my family in at night under a pile of quilts made by myself and my mom. It brings me so much joy that my toddler is dearly attached to the quilt I made for him. 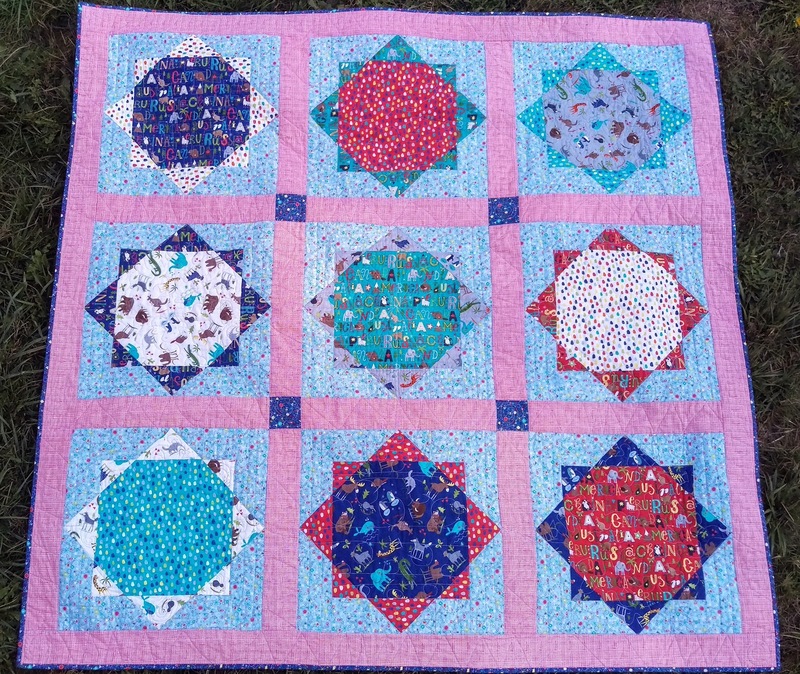 I wish I could budget enough time and money to gift quilts for every occasion, because I love to share them. Process: Slow stitching is meditation to me. Nothing beats curling up under a quilt at night and working on some English Paper Piecing or hand quilting. Sketching out a new design is a thrill. Playing with color on a design board, or experimenting with different combinations at the quilt shop, is also very fun. Challenging myself with a new technique, type of project, or color palette are also really enjoyable to me. 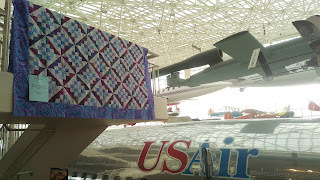 And I love quilty math, too! I really think, if quilting is about wellbeing to you, and something you don’t want to get burnt out in, that it’s important maintain a balance between focus on process and results. That balance will look different for everyone, and change in different seasons of life. But have you ever found yourself racing through a pile of projects, watching the clock, just willing them to be done? That’s one thing when it’s for a deadline, but another altogether when it’s because you’re bored with what you're doing! On the other hand, I know people for whom quilting is a race, and they love the challenging of whipping projects out as fast as they can. And sometimes I sit and face my pile of hand projects that I am normally quite happy to spend years on, and I realize that I need to get the machine out and make something, finish something, achieve something. All of this is ok! I just really encourage everyone to spend some time thinking about what parts of the process you enjoy, what types of projects are most fun, and in what ways you are challenged and/or brought joy by quilting. I’m challenging myself to learn several new techniques this year, and am implementing those techniques onto projects that I’d normally be rushed to get through. This is helping me focus on and enjoy the process a lot more! I’m balancing that out by doing a lot of EPP, since that is second nature and a process I really naturally love. I think it’s great to have a variety of things going at once so you can work on whatever feels best at the time, but for some people that would feel chaotic and messy. Know yourself, dear friends! Please take the time to think it through a bit, and share, if you would, your own thoughts!